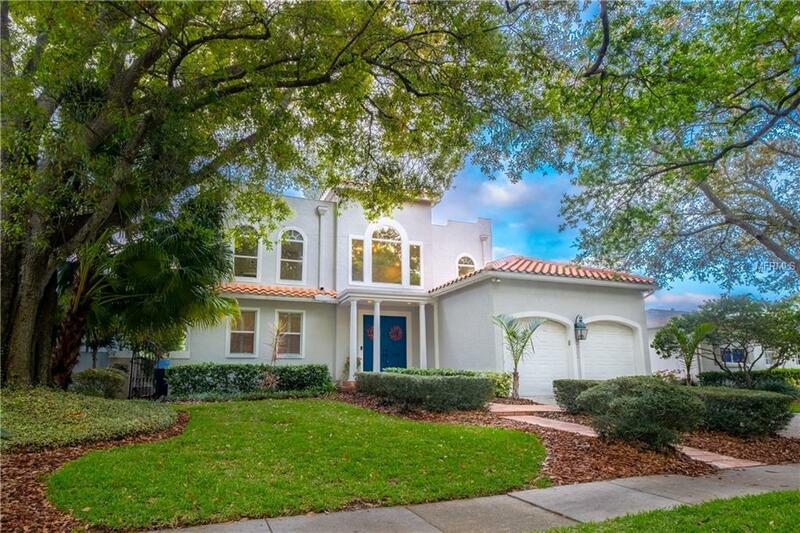 This bright, updated Mediterranean pool home on Davis Islands will take your breath away with its high ceilings and architectural details. The dramatic 2-story foyer provides an abundance of natural light. The hurricane windows have electronic blinds in the foyer and stairwell. 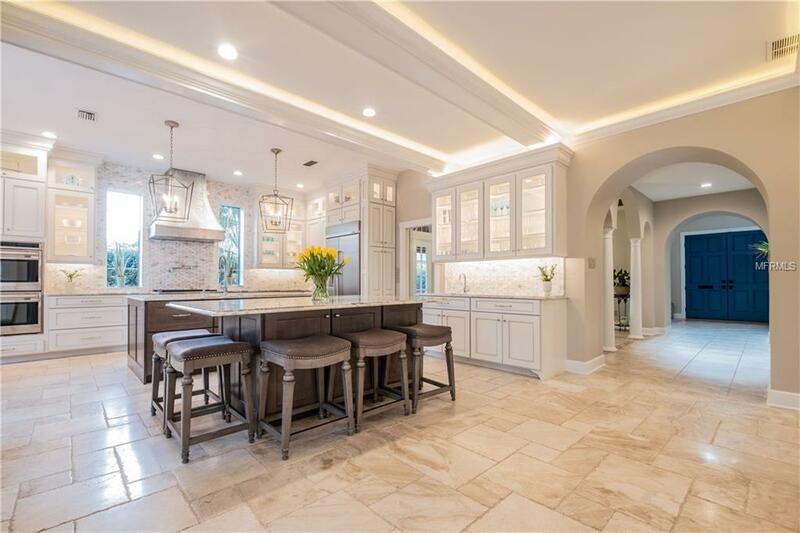 Your dream kitchen has 10+ ceilings, Wolf appliances, a 6-burner gas cooktop, dual ovens, 2 dishwashers, a 42 built-in refrigerator, a 2-zone beverage refrigerator, a separate icemaker, and brown fantasy marble double islands. 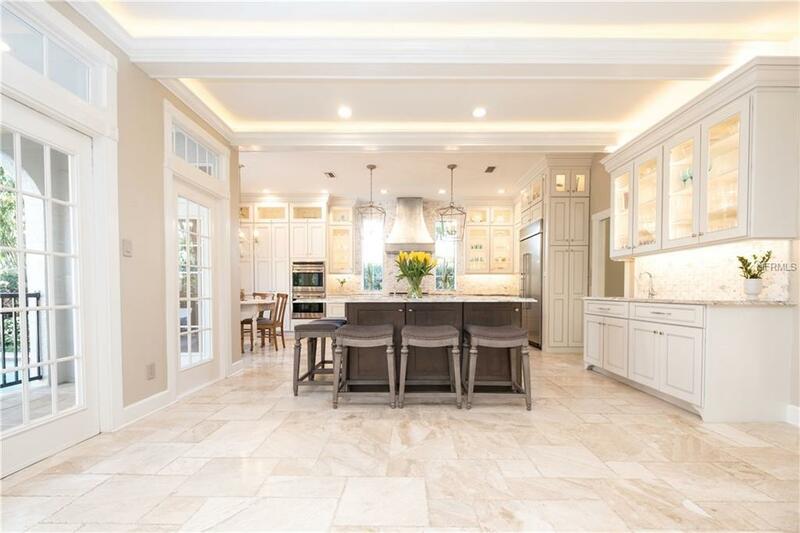 The well-designed oversized kitchen opens up to a great room with a coffered ceiling. 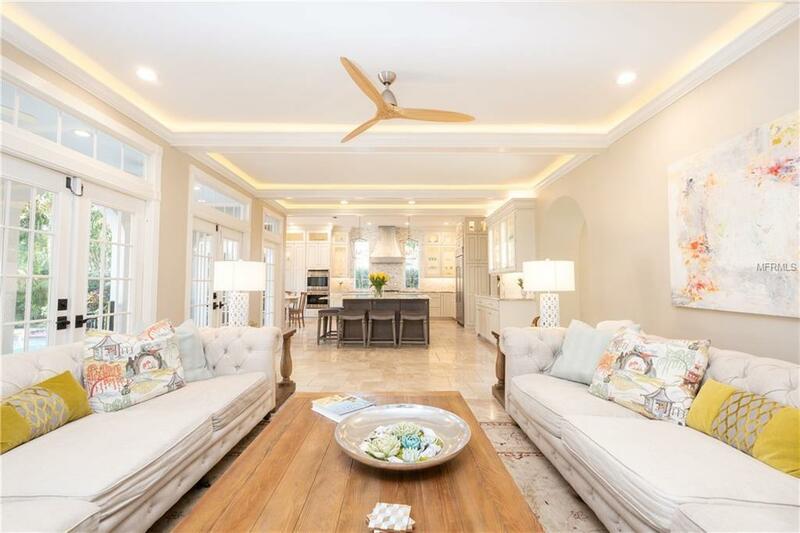 This home is perfect for entertaining, with multiple French doors leading out to the saltwater pool and spa. The pool house has a full bath, covered veranda with arched entrance, and additional storage. French doors lead into the private master retreat with his and hers walk-in closets. The master suites sitting room opens up onto a large second-story balcony overlooking the pool. The master baths 12 counter with double sinks and 3 linen closets give you ample storage. Additional features include Lutron dimmable lighting, a wood-burning limestone fireplace, archways, built-in cabinetry, and upstairs bedrooms. Your island home sits on a lovely tree-lined street in a golf cart community. The island has public clay tennis courts and an active sailing and yacht club. This beautifully appointed home is also in Tampas highly sought-after school district (Gorrie, Wilson, Plant). Come enjoy the island life! Additional Water Information Davis Islands Has A Public Beach Boat Ramps Docks And Dog Park With A Beach. Davis Islands Yacht Club is Open To The Public On Thursday Evenings Most Of The Year. Davis Islands is Home To Marjorie Park Marina.